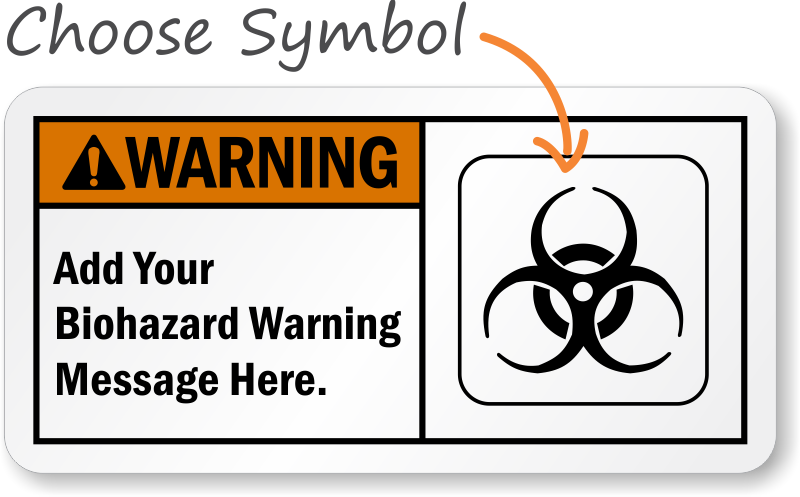 Can't seem to find the text you need for your Biohazard sticker? 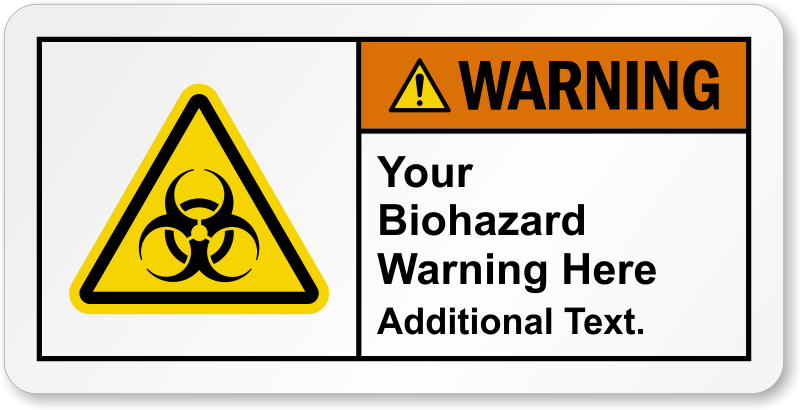 Create your own custom biohazard sticker using one of our easy-to-complete templates. Choose a design with or without graphics, in many sizes and materials. 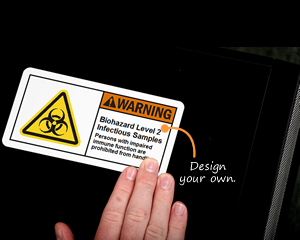 Click on the template to begin designing your custom biohazard sticker with our easy online wizard. • Custom stickers make your message even more effective. A specific warning is the best. • With sizes as small as 1.5” x 3”, you are sure to find the right size for your application. • Each of our stickers is made from durable material that is easy to adhere onto most surfaces. 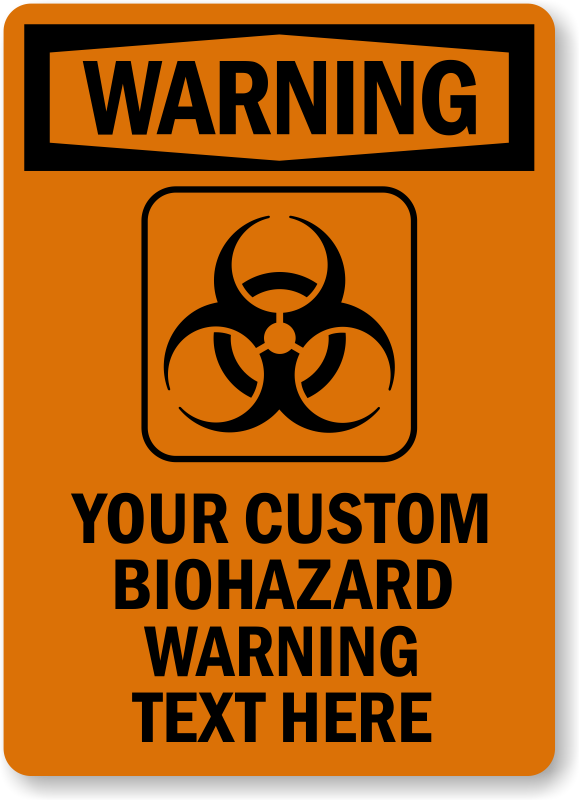 A custom Biohazard sign conveys the exact right message – and that means greater compliance and greater safety, So personalize your own biohazard sign according to your convenience. 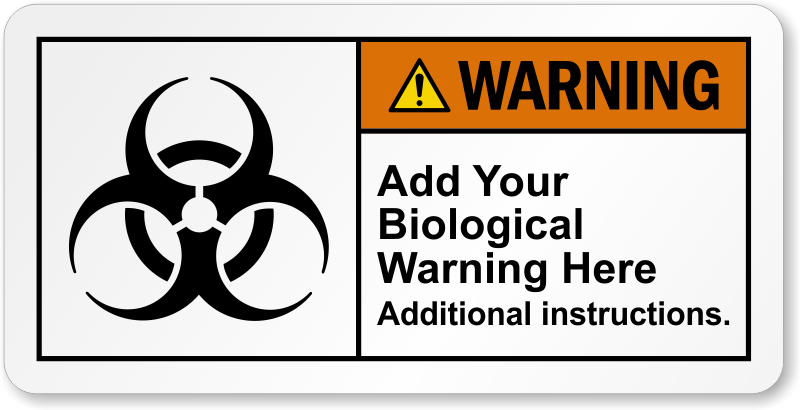 Create your own warning. Free PDF!